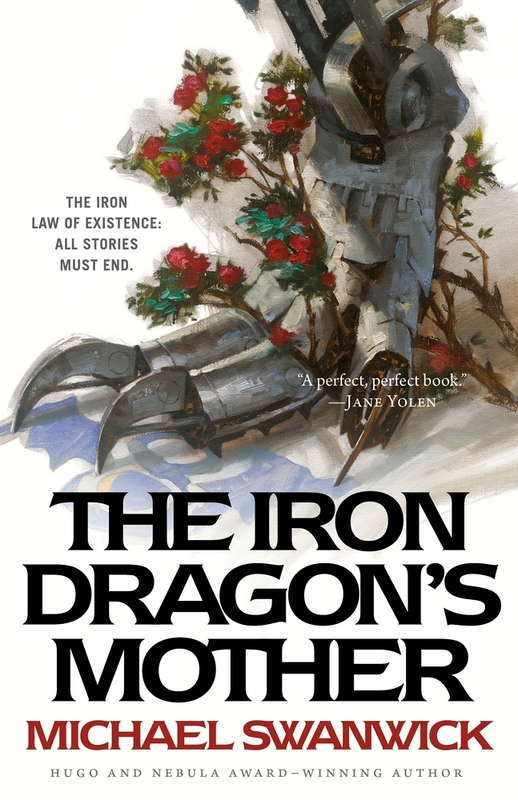 Award-winning author Michael Swanwick returns to the gritty, post-industrial faerie world of his New York Times Notable Book The Iron Dragon’s Daughter with the standalone adventure fantasy The Iron Dragon’s Mother. Caitlin of House Sans Merci is the young half-human pilot of a sentient mechanical dragon. Returning from her first soul-stealing raid, she discovers an unwanted hitchhiker. When Caitlin is framed for the murder of her brother, to save herself she must disappear into Industrialized Faerie, looking for the one person who can clear her. Unfortunately, the stakes are higher than she knows. Her deeds will change her world forever. MICHAEL SWANWICK is an institution in both science fiction and fantasy literature. He has served as an influence on genre fiction as a whole as well as an inspiration to many leading authors. He has been a finalist multiple times for every major award in science fiction/fantasy, from the Nebula to the Hugo. Michael is the author of The Mongolian Wizard novels as well Stations of the Tide, The Dragons of Babel, and Chasing the Phoenix.